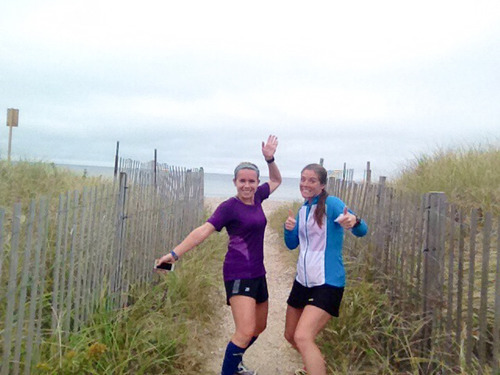 This morning’s run was probably the most fun, most laughter-filled run of this entire marathon training cycle! 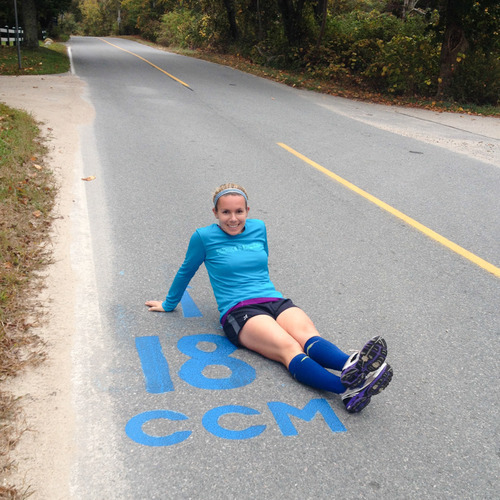 We’re nearing the VERY end of Crystal‘s training, with her Mount Desert Island Marathon this coming weekend. And with that comes the end of our [current] training together – we’ve been so lucky to have very similar running schedules every Tuesday, Wednesday and Thursday! 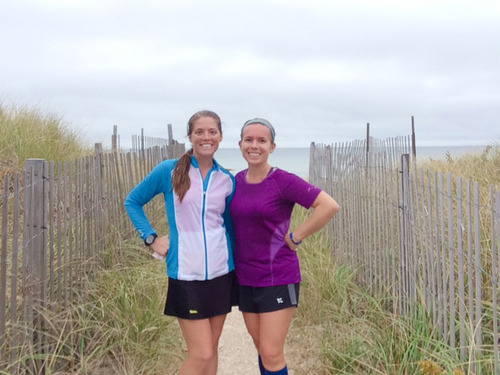 Her presence and friendship has been invaluable to me in my first-ever marathon training. Even a few days before her Maine marathon, Crystal came with me to check out these “Sippewissett Hills” everyone keeps talking about. 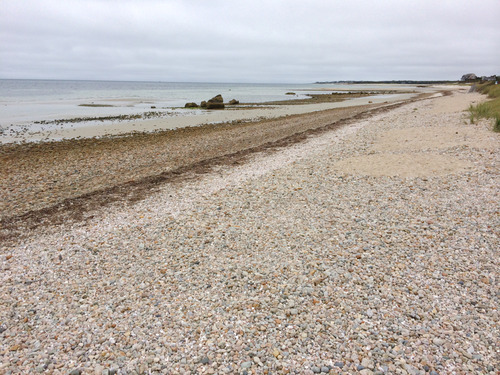 Basically the “Heartbreak Hill” of the Cape Cod Marathon, the Sippewissett hills are actually about five miles long and come at the worst time – around miles 16-21 of the marathon. Honestly the hills aren’t bad at all – it is Cape Cod we’re talking about – but I can respect that they feel mountainous on race day. We joked and laughed, and stopped for photos along the way. Crystal was even catching leaves as they fell from the trees (but not too many, because holy traffic and no shoulder on this windy road!) It was a truly beautiful route of stone walls, adorable homes, foliage and ocean views! Feeling a little sappy, we ended up chatting for another almost-two hours at the Daily Brew. One more run together tomorrow, and then we’ll regroup in a few weeks (and probably before then without sneakers)! HUGE CHEERS for Crystal and Jamie at MDI this weekend!